In today’s evolving business world, office culture has become much more of an integral ingredient towards successfully running a business. The thought behind this notion explains that companies run better when all of their employees are on the same page. Office outings give a positive reinforcement towards the company that their employees are all thinking and working alike. Although more formal office outings can tend to be expensive, sometimes the investment pays off in the long run. Statistics show that companies with engaged employees outperform those whose employees are not as engaged by 202%. Just so we’re on the same page, an engaged employee is one who is happy with their job, is treated well, and feels like an asset to the company. What happens if your budget is small? It’s can be as simple as taking your employees out for quick lunch or a drink to talk over new ideas after a hard day’s work. From an employee standpoint, this goes a long way! 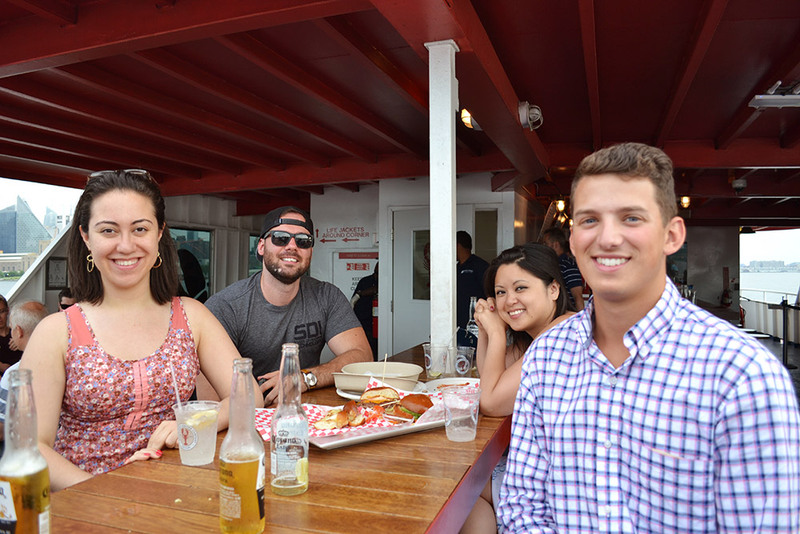 A couple weeks ago, we were taken out on a boat trip around the Hudson river to enjoy a nice dinner with the team. It was pleasant to be around the other employees outside of the busy office atmosphere. On behalf of all the employees, it made us feel that we were an important piece to the large company puzzle. A happy successful company starts within their employees. After all statistics show that happy workers are 12% more productive than the average, dissatisfied worker. Overall, as an employee we spend much of our week cooped up inside an office and appreciate more than just a paycheck as a symbol of our true value. A little effort and thought can help keep the employee satisfied and optimistic when it comes to office work. The difference between a proud employee and an unhappy one can make or break the business! I encourage all managers to go out of your way to show your employees just how much they mean to you!